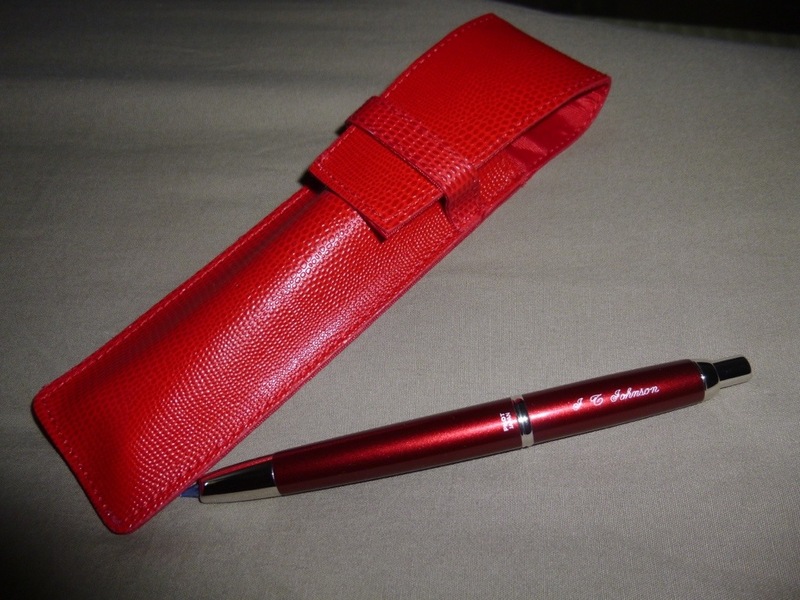 I get enthusiastic about great pens and I was on a quest while in Japan to find a Pilot “Capless” fountain pen. 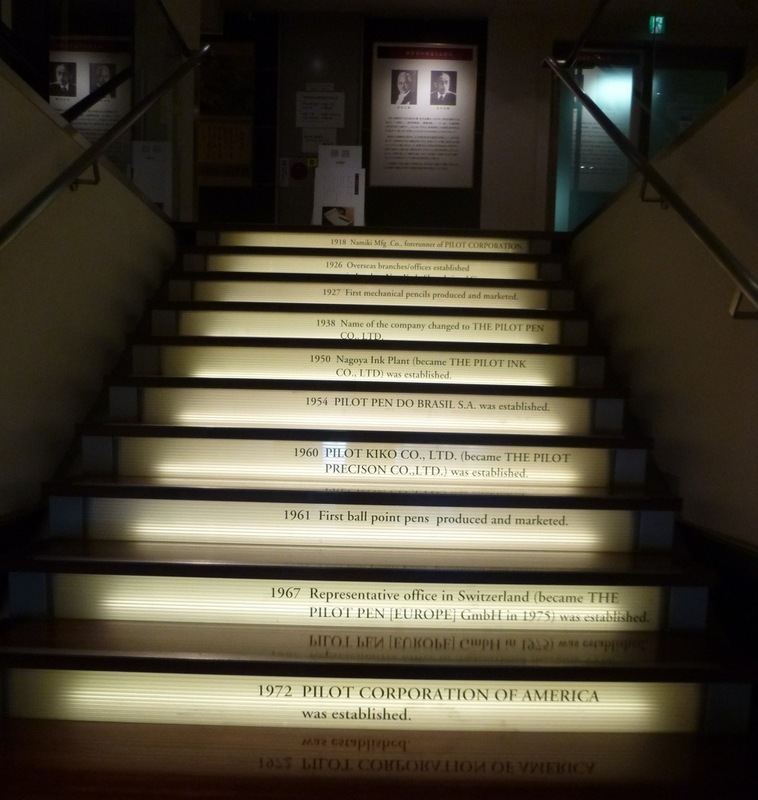 So imagine my excitement when I discovered not just a pen but a plethora of pens at the Pilot Pen Company Museum – cleverly named ‘Pen Station’. I spent an engaging morning in this stunningly scripted exhibit – a wonderful tribute to Japan’s premier designer of fine writing instruments since the 1920’s. 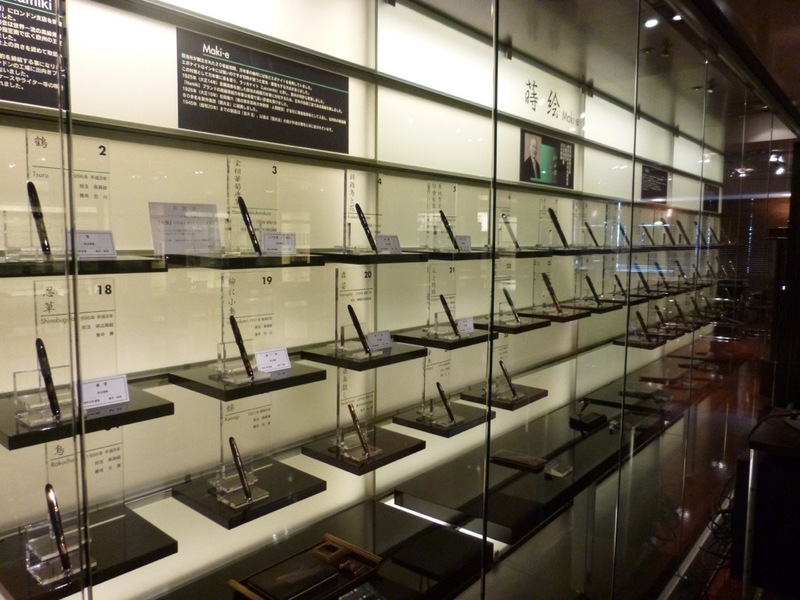 Every fountain pen they have developed is on display, and I thoroughly enjoyed drooling over each new design, learning how gold writing nibs are made and viewing the extensive collection of vintage photos. 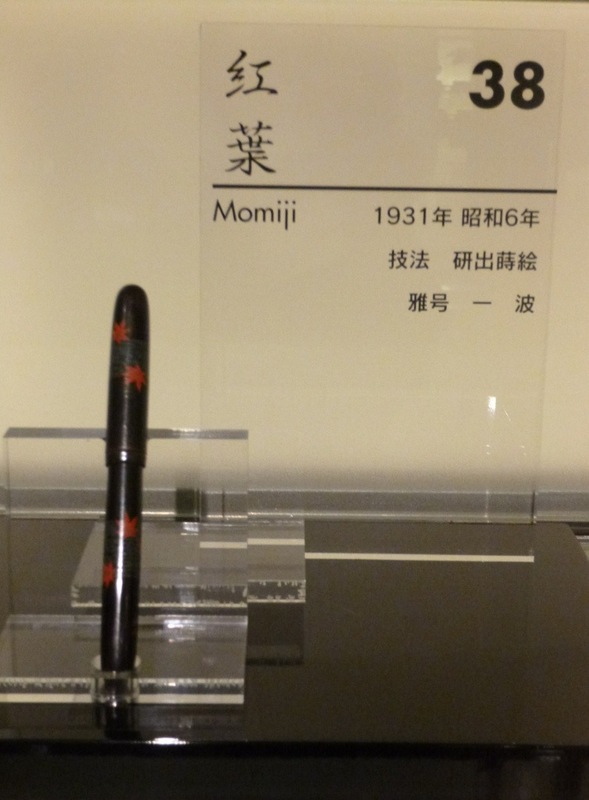 Oddly, I could not buy a Pilot pen at the Pilot Pen Museum. For that I was directed to Ito-ya – a stationery store on growth hormones, where I had a seriously difficult time not spending oodles of cash on custom notebooks (pick your cover and paper), spectacular greeting cards and paper goods to die for. I settled for a sleek, shiny, candy-apple red number and was tickled when they offered to engrave it for me. Free. Sort of. I had to wait an hour or so to have it done, during which time my discipline waned and I bought stacks of amazing greeting cards. Getting around in Japan was much easier than I expected. 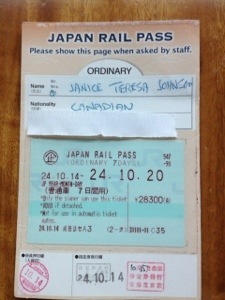 I bought a Japan Rail Pass before I left Canada – it’s cheaper if you buy it outside the country. That meant I could get on and off any JR train anywhere. You can buy a pass for a specified period of time, in this case one week. The routes are easy to follow and any time I had to ask at the JR office – there’s one in every station – I got the information I needed easily. If you check in for a train at the JR office they’ll give you a reserved seat, too. The car number is on your ticket and corresponds to the car numbers indicated on the signs beside the track. I guess they’re very good at parking the beasts at just the right place so the cars line up with the signs. Tokyo Metro (subway) was a bit more challenging but after a couple of adventures I started to get the hang of it. 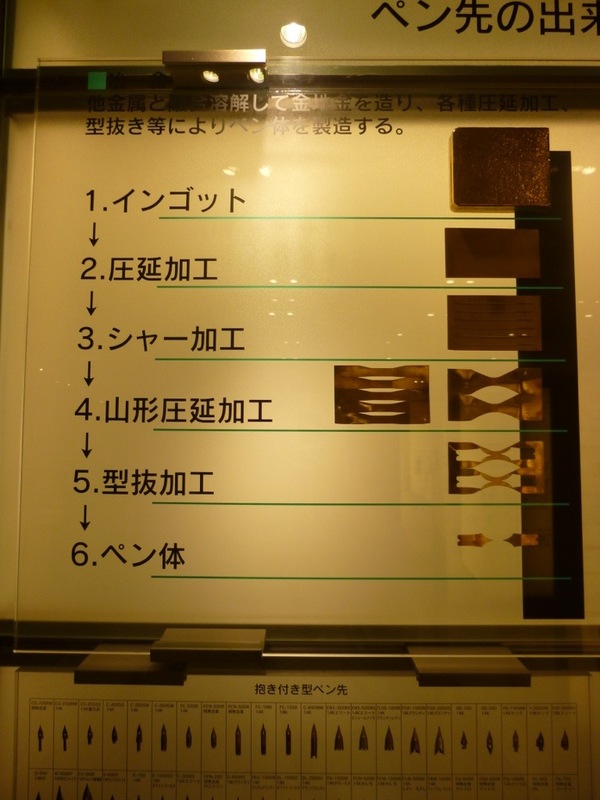 The lines are all named – Ginza Line, Hibiya Line, Yamanote Line. The real trick is figuring out which direction to take but again, station attendants were very helpful. It should be noted here that I was in the subway for at least part of “Shake Out Day” in Tokyo. This is an occasion for emergency services, corporations and individuals to test run their earthquake preparedness. The mere thought of being underground if The Big One occurred was…well…unsettling. Pun intended. By the time I came above ground it was mostly over. The only sign of the event was the occasional fire truck parked at a curb and the odd street blocked off. A note of caution about the subway – I was told this a number of times – DO NOT take the subway in the morning or evening rush hour unless you’re up for some pretty serious cramming in. I saw those fellows in their little white gloves, waiting beside the subway tracks and the idea of having them shove me onto an already crowded subway car is just too much to think about. Walking around Tokyo was a bit more challenging and I really had to keep my wits about me to remember how many turns I made, and in what direction, so I could find my way back again. I got in the habit, when leaving on my walkabouts, of turning around and taking a photo with my iPhone of wherever I was leaving, so I would remember what it looked like when I got back. 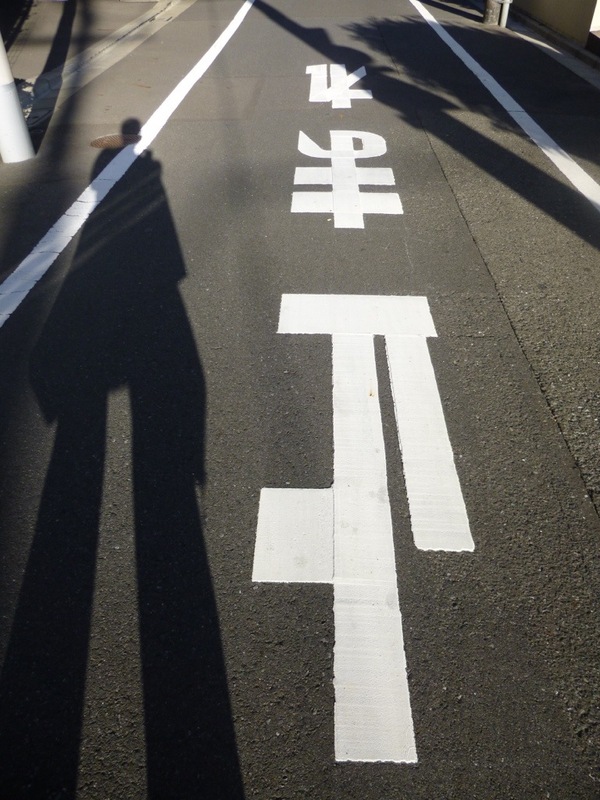 And I recognized the Japanese sign at the street where my guest house was by thinking of it as 4 – PH – TJ. You may have picked up on the fact that so far I’ve not had much to say about food. 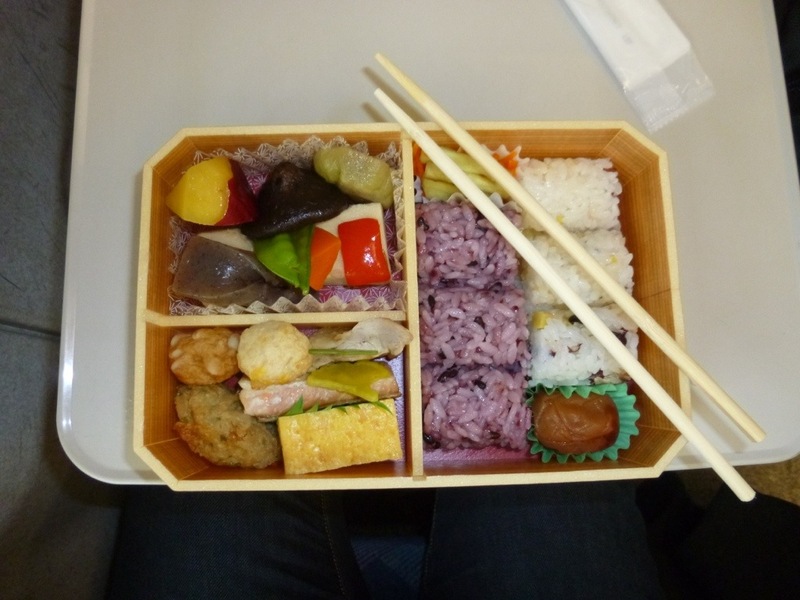 It’s not that I’m starving myself – although some of that would probably be a good idea – or that I didn’t have some wonderful meals in Japan, contrary to speculation to the contrary. I have captured all the great meals I’ve had, and some not so great and will be compiling a Food Issue of my blog. Watch for it coming to a newsstand near you soon! 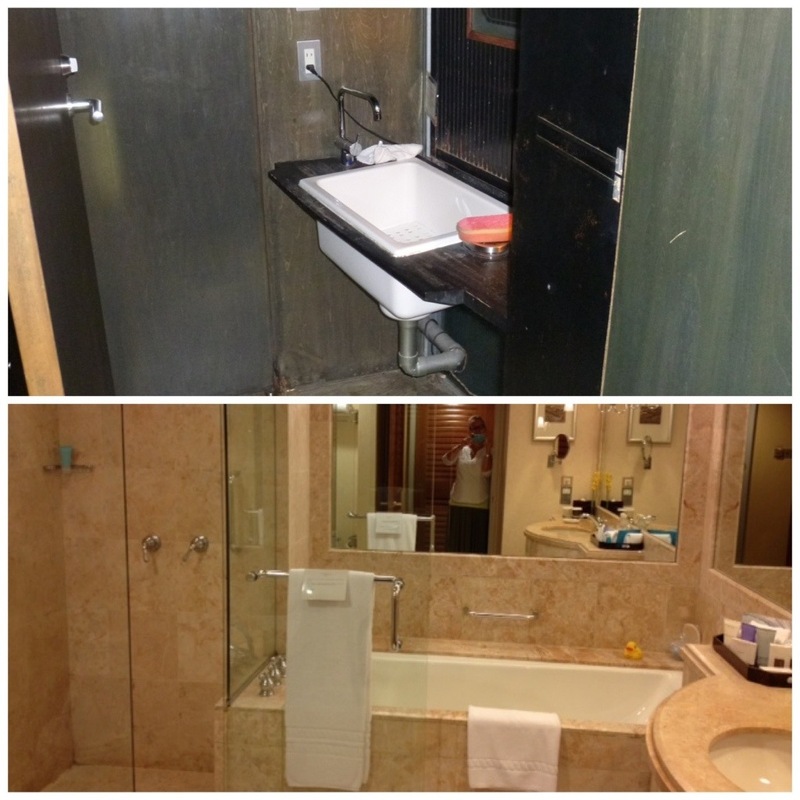 Some readers will also know that I have a fixation with bathrooms. I get excited when I find myself in a well-planned, perfectly functional bathroom, and conversely I will almost pull my hair out over the negative…ahem…user-experience in the poor design of others. 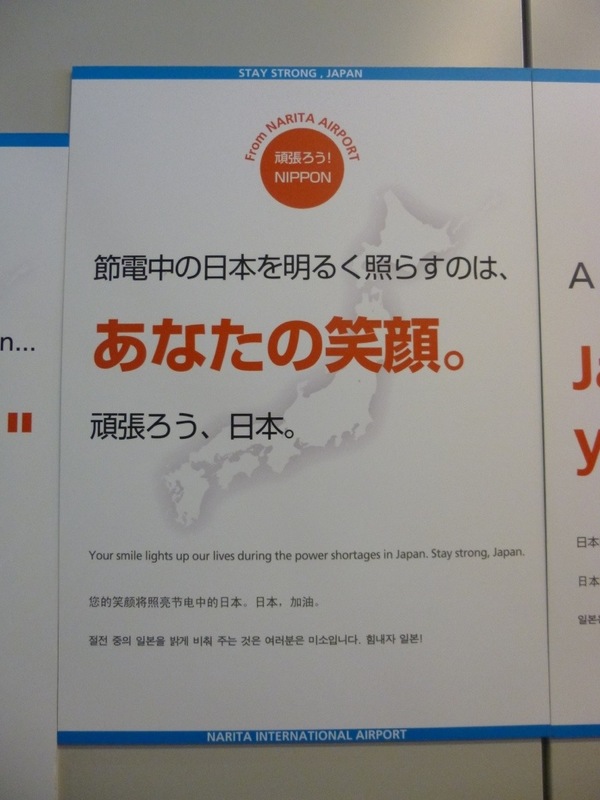 My week or so in Japan had some exceptional examples of both. I do think, though that it’s unfair to isolate only one country’s examples of bathroom couture so I’m likewise compiling a Bathroom Issue highlighting the best and worst – a sort of Mr. Blackwell’s for Toilets. I’ll take care not to publish it too soon after the Food Issue. I think I’ll also have to do a piece on signs as I’m accumulating quite a collection of them that make me chuckle, laugh out loud or sometimes feel like crying. Thanks Terry – I almost feel like I’m there with you. However, sitting at my desk, in my jammies!!! and using a comfortable commode!!! Again, great writing Terri! Can’t waitfor the bathroom and food issues! You should publish a book! Rick Steve’s makes millions doing his!! Thank you for your very nice comments, and for following!